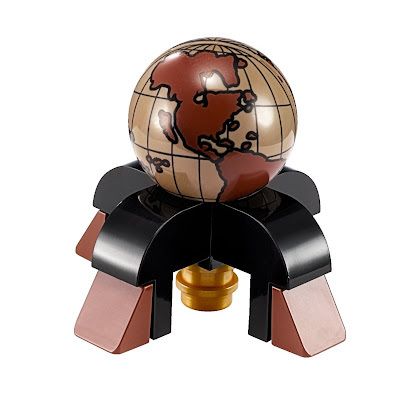 come with a rack, a table and a globe. 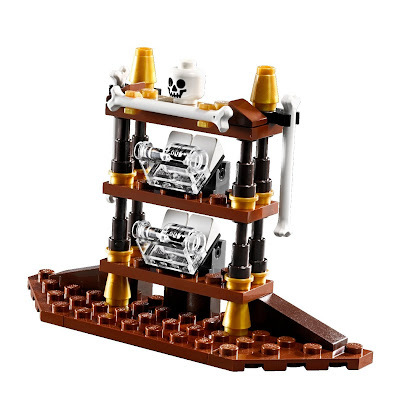 the rack holds 2 ships in a bottles. 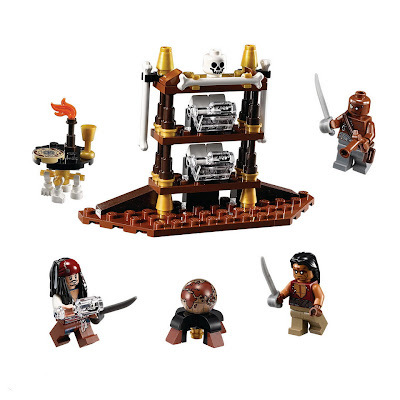 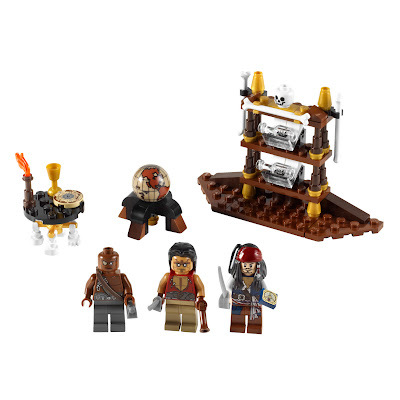 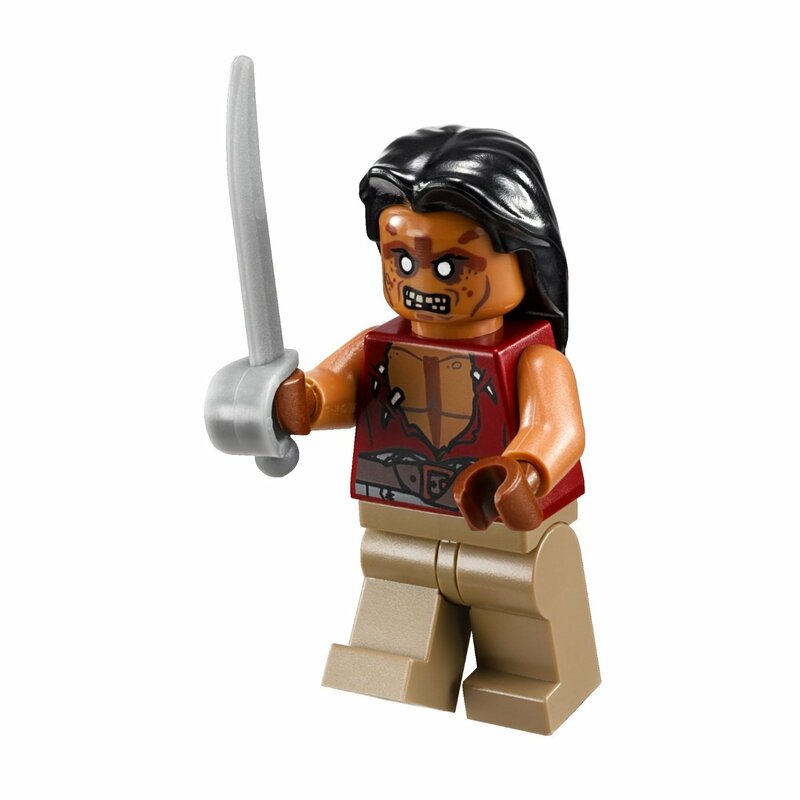 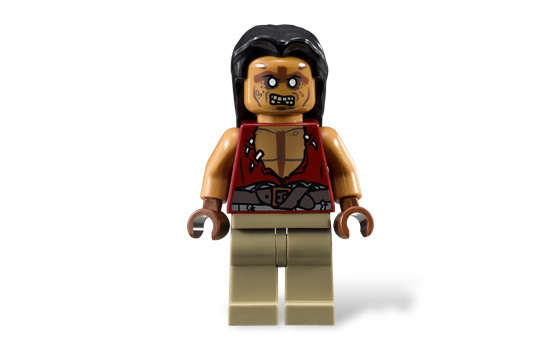 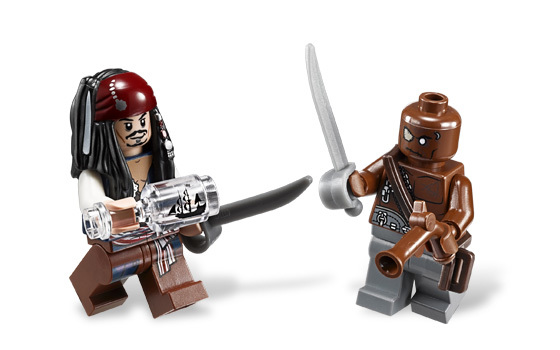 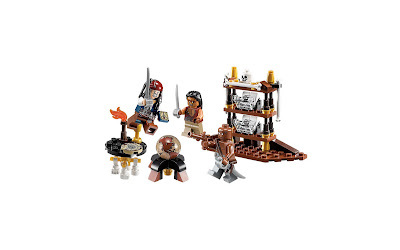 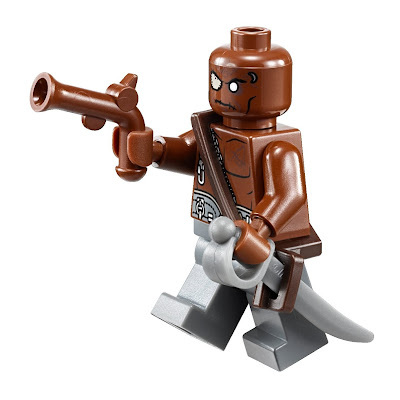 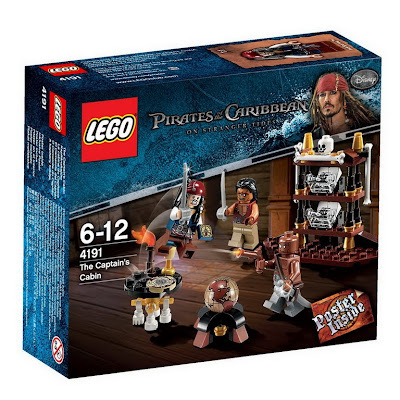 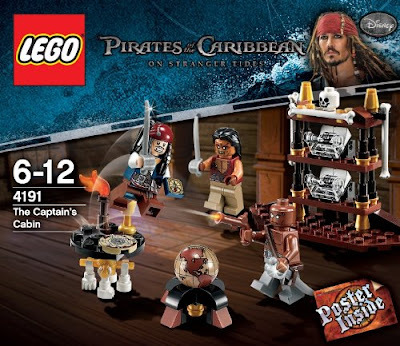 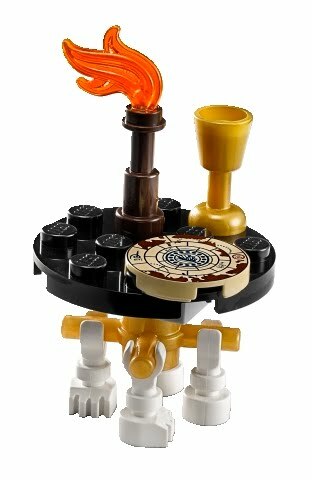 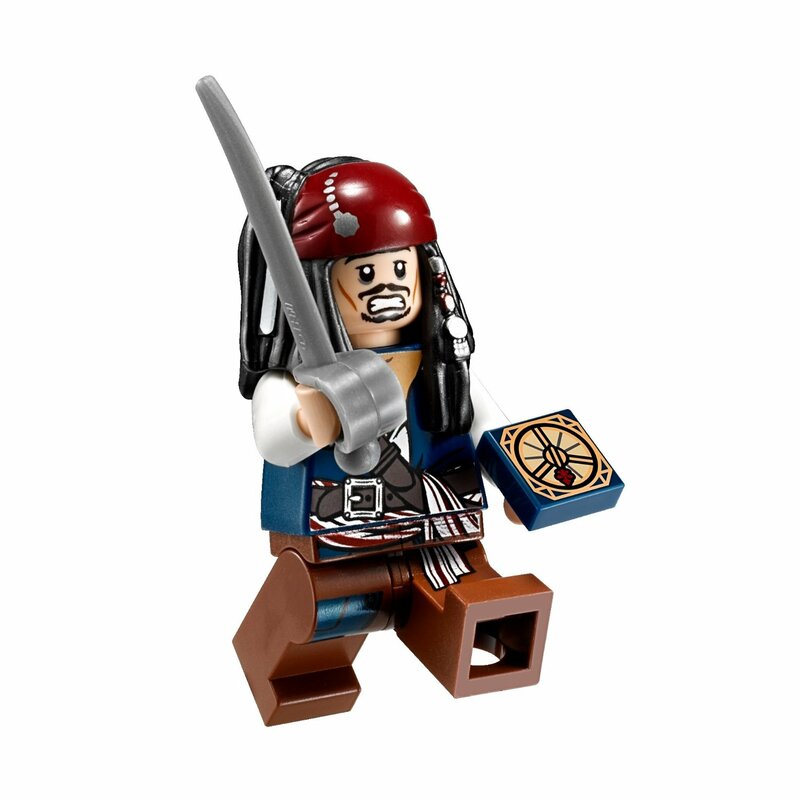 minifigs included a jack sparrow minifig and 2 henchman minifigs.